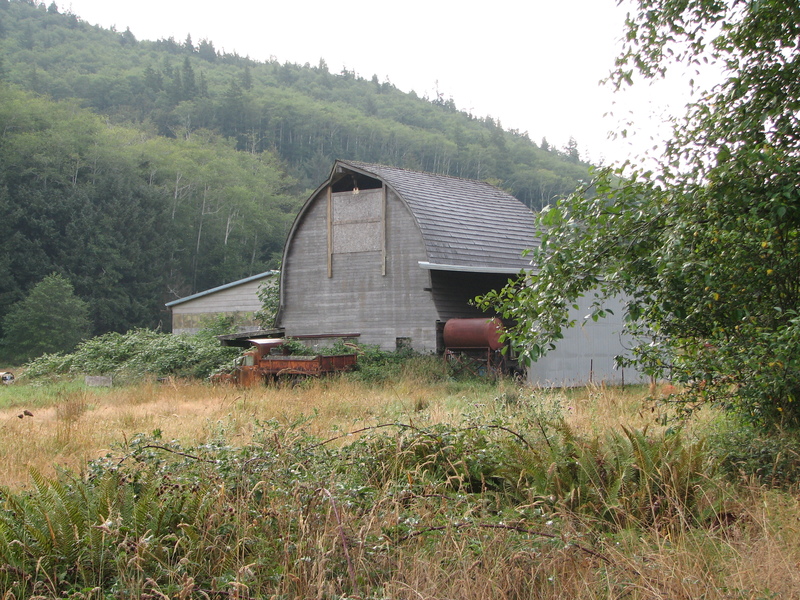 After we drove through the fog in the Coastal range, we arrived at the next Exchange point. Van #1 was currently running their last Legs. We had about 4 or 5 hours before we had to meet Van #1 to start our last Legs. We pulled into the Exchange area and were told by volunteers all three parking areas were full. It was frustrating. We were all tired and cranky and sore. I was starving because I hadn’t been able to grab anything to eat or drink after my last Leg. We circled the parking lots a few times. A few of the volunteer Race Officials were downright rude and unpleasant. That was disappointing. 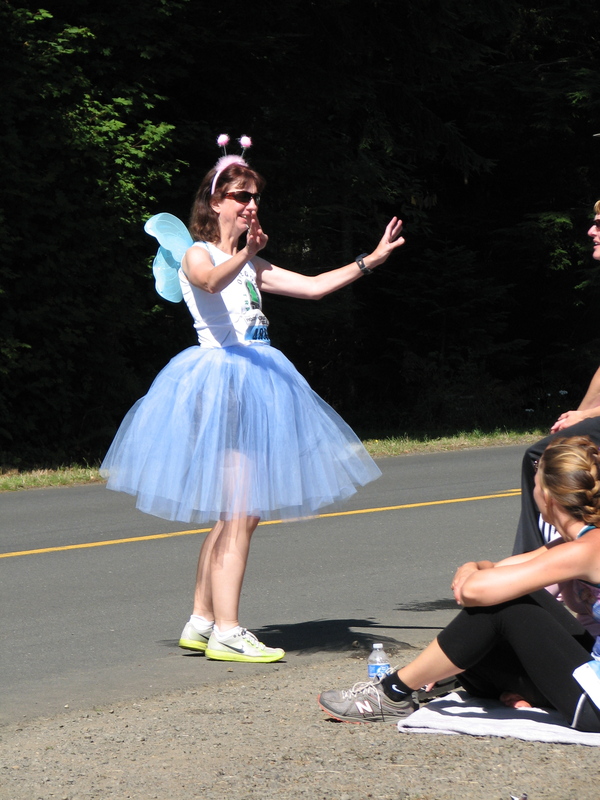 If they didn’t want to volunteer, or they get frustrated and grumpy easily–they shouldn’t have volunteered for Hood to Coast. It’s a test in endurance–for runners and non runners alike. I will say almost all of the volunteers were really nice and helpful on this journey. Many were encouraging and cheered on runners. I know that helped keep me going many, many times. 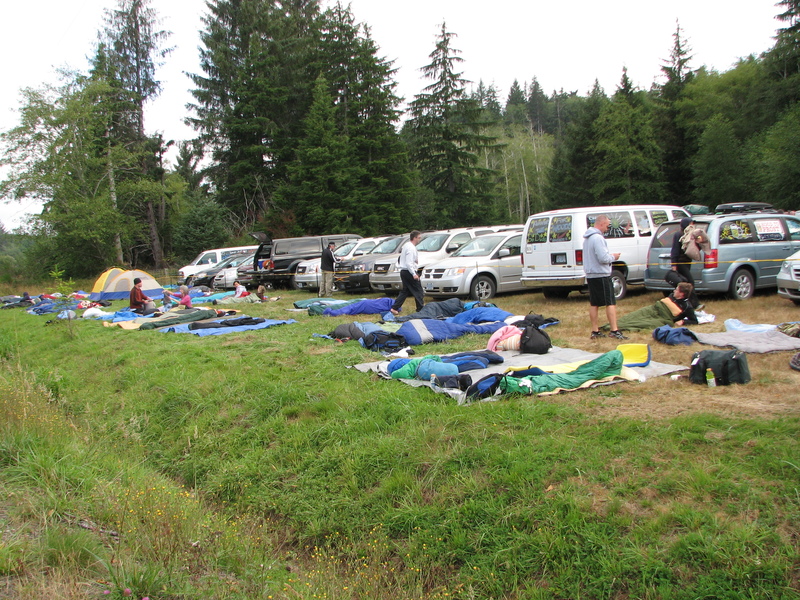 Since this was a sleeping area, I saw sleeping bags every where. In designated zones and just on the side of the road in people’s front lawns. I was cold and tired and my legs were locking up. I had to pee really bad. I was so ready to get out of the van and take care of those needs. I suggested we go drive down to the next Exchange (5 miles away or so) and rest there, then double back to the Exchange we had to be at to meet Van #1. Daryl agreed and we drove about a mile and then found a spot to park on the side of the road. There was a port-a-potty there thankfully. I used it a LOT. I mentioned before that some of my teammates had the nervous “runner’s stomach.” They were having gastro-intestinal issues a LOT. I was lucky that I didn’t suffer from that at all. The only thing I do suffer from is the tiny bladder. When nervous or excited, I will have to pee every 5 minutes. No matter what. The locals that lived in the area were selling some food, coffee and tea. They were also fixing biscuits and gravy for breakfast. It was about 7:30 am at this point. I had been eating my bagels and bananas at steady intervals since Hood to Coast started. I ate protein bars and GUs. I was drinking water, LOTS of Gatorade, and I drank my chocolate milk once we stopped at this Exchange. It was great. I hadn’t realized how starving I was. I was seriously doubting whether or not I could run my last leg. My legs had officially locked up. I was so stiff and sore I could barely walk. I had tried to move around as much as I could, slowly walking around to stay lose. I tried to stretch but that didn’t help. My ankle was really hurting me and I feared the worst: something was seriously wrong with my ankle. I did not want to be seriously injured. 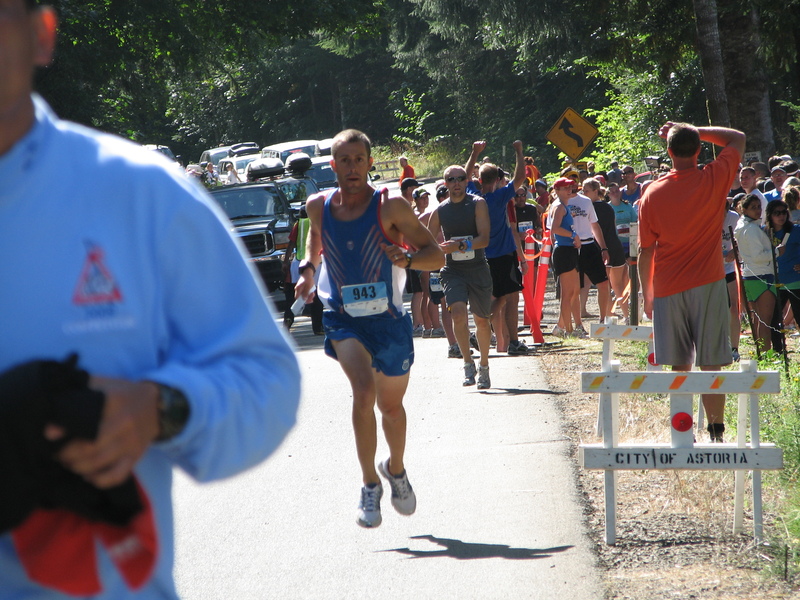 Not just because of the obvious reasons, but I wanted to complete Hood to Coast as a runner. I was NOT giving up. No matter what. I was able to find a pocket of cell service and even though my battery was low, I called Michael. It was so good to hear his voice. I was exhausted. I’d been up for 26 hours so far and I’d run a total of 11.29 miles so far–the most I’ve ever run in one day. I was sleep deprived, anxious, worried about the last leg, anxious about whether or not Michael could make it to the finish line. I was hungry, grouchy, and 100% an emotional wreck. Not only that, I did not know anyone in my van. I was friends with Leslie–in Van #1–but everyone in my van was a stranger and not someone I could talk to about how I was feeling and what I was thinking. That was hard. I felt VERY alone. And sad. And like I said, I was an emotional wreck. Talking to Michael helped a lot, but it also made me cry. I knew I’d be emotional during Hood to Coast, but I thought it would be at the end when I crossed the line triumphantly. I had no idea the abuse my body would take during Hood to Coast. Unless you experience it, you can’t imagine it. Even watching videos or seeing pictures. 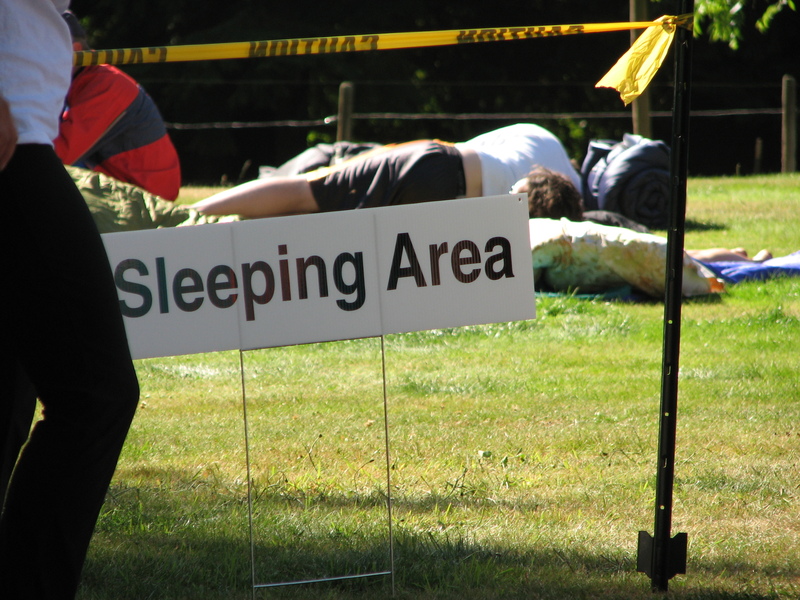 NOTHING can prepare you for Hood to Coast. I felt very unprepared–even though I had tried to imagine every scenario. One example? I did not bring finger nail clippers. Sounds like a no brainer. Especially since runners suffer from things like toe nails breaking or falling off. But did I bring clippers? Nope. Did I need them? Yep. I needed to save my phone battery so Michael and I ended the call. I walked around to try and loosen up a bit. Some guy was trying to sell a product similar to a Tiger Tail. He was letting runners test them out. I used it on my legs to try and work out some of the lactic acid. It felt really good–until I used it on my IT band. OUCH. It was painful just touching the outside of my thighs. That explained my knee pain when running. I kept walking around and then went back to the van to sleep for a few hours. I slept a bit and ate some more, then walked around. 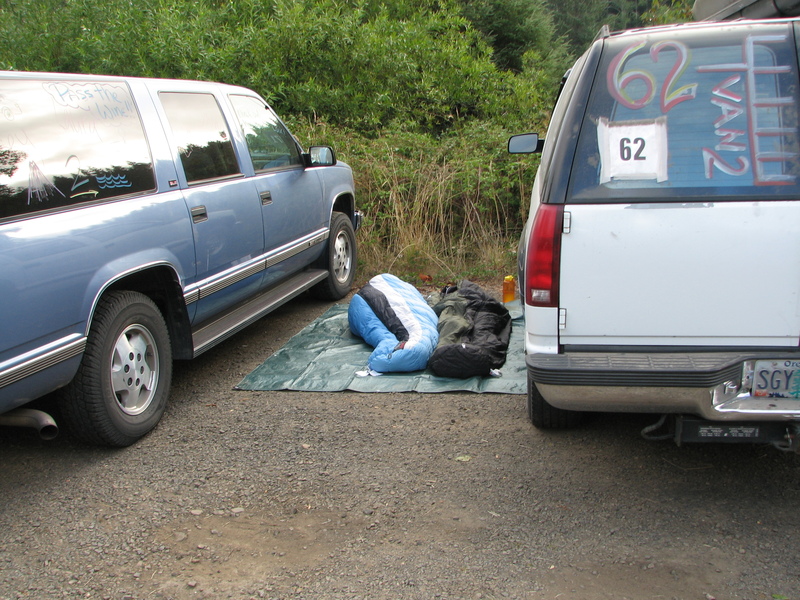 It was almost time to meet Van #1 to start our last legs. Heather got dressed and ready to go. Her knee was hurting her a lot. She said she had surgery on her ACL. I didn’t see the Exchange with Heather and Bruce. I had started walking back to the van to get food. Once Janell got to the van we took off to meet her. We were back to the Running Part…. I’m sorry parts of your Hood to Coast experience were so rough 🙁 It’s definitely challenging both mentally and physically, and I’m very glad I was in a van with some people I knew, and some people who I got to know. I’m glad you were able to finish though! I have one of those Sticks. It hurts a lot, but I make myself use it when I’m sore. That and my foam roller. It’s painful but it definitely works! I have a Foam Roller I use religiously. I didn’t bring it to HTC though. First, your recaps were awesome. Thanks for taking us along for the journey. Such a great accomplishment!! Second, which do you think is better…a foam roller or something like the tiger tail? I own a Foam Roller and love it. I’ve used a Tiger Tail a few times. I think it’s a better choice if you need to take it traveling. WOW!! that’s all I can say.